What do you think about Armada TST? Good flow in harvested piste and outside. Something soft but I'm a "big" skier so that's the property I get compromised with. A good compromise for me who sought a ski for "everything". Allround as few, the gun works in both the pist, offpist and a little bit upset. Tested Length: 183, mounted according to manufacturer recommendations. Acquired these because I wanted a couple of "good for everything" skis, and they really are. The nosrocker shortens them properly when riding a pist and the same nosrocker eats through the raised muzzle and flows really well in the fluff to be such a slim skid. They are not too heavy with Guardians either. The only time I really want some other skis is when it's really, really a lot of snow, but it's just because I have a couple of powder samples available. As a day of skiing, TST is cruel. I can add that I (easy, clever girl) only experienced the 183 as bumpy in hard puckles, and it's the trouble of my puck and not the skis. Had I been heavier I would not have been afraid to at least test the 192, depending on what you're going to do. Good with Rocker and strong cut. I loved them sharply when I went for my first trip. Opistad Black back, 40 cm sneezing and bluebird would nobody say no? I tried these in Lössnö, Brant, Ice, Konstsnö, as well as pickled puckles. The ski floats without problems outside the piste, but it also works really well in ice-skis and artificial snow. No what I've discovered so far. No tendency to flutter in the long rocker on the skid. Very good Allmountain skiing for the money. 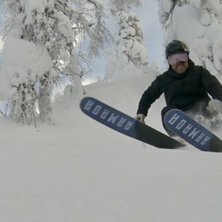 They may not flow as well as wider skis (DPS Lotus, etc.) but clearly approved for both price and area. My ski is 175 because I'm pretty short myself (172). Have not tested it in Park but maybe I can do this weekend, so much happy! Swings easily, stable, good grip. Maybe they are quite tall compared to my last, so I have to leave a wide leg so that they do not cross out. My first wider and more modern skis were the last 10 years old fischer pistskidor. I have a pair of 192cm in length, and I feel that they feel much shorter than my last 15cm shorter, no trouble getting around the corner. Twintipsen makes some length "disappear", they also have a big rocker. Have driven them in up to 50cm fluff pads, they flattened really well in it! Not even tested so much in forest yet, but I do not think there should be any problem getting them around the trees. Hard piste works great, goes as train and stable as few. No tendency for the tips to begin to flow at higher speeds. Have not done so much shine with them yet, have not had it than this season in the home bakery :) The little thing I've done has worked really well. Can not actually complain about anything with them yet (about 10-15 days), really satisfied! Light, light-skinned, cruel in the piste and then I also mean rocky pistons. Perhaps they can be pushed to the burst limit at too high speed with full pressure but nothing that interferes with a relief like me. Have driven them into a bit of steep forest, puckles, good pistons, bad pistons, ice pistons, loose snow and they work clockwise simply, as mentioned earlier. However, I have not tested them in bottomless or hard-wearing but personally I think skiing is bad in such conditions. More or less "high flow" only. So I guess they are good even in djuuup snow though not as good as Kuro o d of course. Must probably make them a cruel sweden-ski to use a cleft. EDIT: Tested Length 183. Should choose 192 without hesitation.